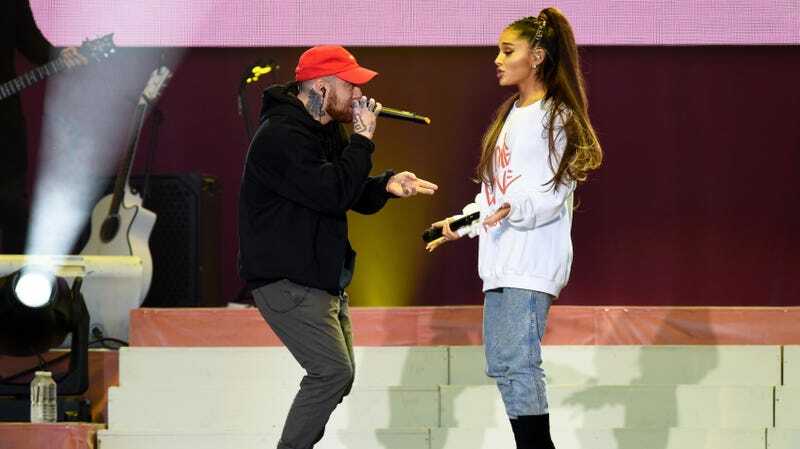 Mere seconds after news broke of Mac Miller’s fatal overdose, ex-girlfriend Ariana Grande was bombarded with Internet vitriol blaming her for his death. Dissatisfied with merely lobbing that level of loathing at a 25-year-old in mourning, one Twitter troll decided to accuse her of “milking” Miller’s death, because the only possible reason a person can express sorrow is if she’s trying to make money off of it, duh! It is difficult to talk about mourning in public. People treat those touched by death like they’ve contracted some kind of disease. When you are not in mourning, when you perhaps never have been, it is hard to understand that it feels like part of you has been sucked out. When you are in mourning, you do not know when you have overstepped some invisible boundary set by someone to say your sadness is Too Much, that you are just looking for sympathy, that you are asking for attention, that perhaps you have not lost as much as another person whose loss is much more tragic and you do not deserve to feel like your stomach has been smashed from the inside even though you do. To talk about it, to tweet about it, to put an innocuous “I miss you” message out into the world, runs the risk of seeming disingenuous. It is not. You are doing it because you do not know what else to do, because there is nothing you can do but this.